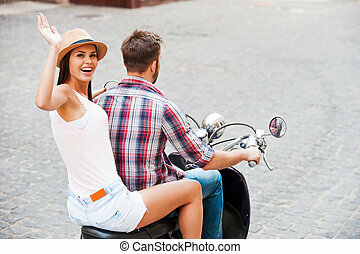 Beautiful woman looking over shoulder. 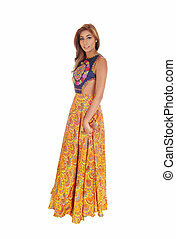 A gorgeous caucasian woman in a designer dress standing waist up isolated for white background, looking over shoulder. A beautiful young slim woman in a long yellow skirt standing in full length isolated for white background, looking over her shoulder. A pretty woman in a closeup image looking over her shoulder with long brunette hair, isolated for white background. A pretty woman in a full lights image looking over her shoulder with long brunette hair, isolated for white background. A lovely young woman showing her boxing cloves wearing exercising clothing, isolated for white background. A lovely young woman standing in profile with long brunette hair, in deep thoughts, isolated for white background. Two lovely young woman standing waist up in long pink skirts and long curly hair isolated for white background. 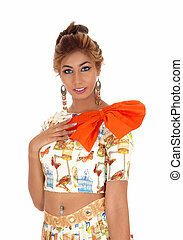 A beautiful young woman in a summer dress standing waist up isolated for white background with a big orange bow. 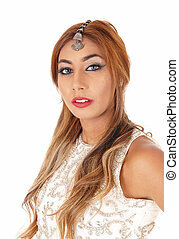 A closeup portrait image of a beautiful young woman in a dress and wearing jewellery on her head, isolated for white background. A closeup portrait image of a beautiful young woman in a white top with a big necklace, isolated for white background. 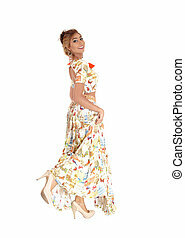 A beautiful young slim woman in a long yellow skirt standing in full length, isolated for white background. A beautiful young slim woman in a long dress standing in full length in profile, isolated for white background. 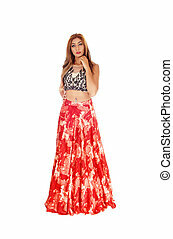 A beautiful Caucasian woman standing isolated for white background in a long red skirt and black top. 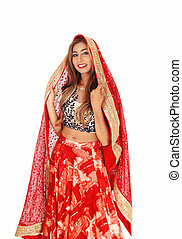 A beautiful Caucasian woman standing isolated for white background in a long red skirt and black top and a nice vail on her head. Beautiful young woman with blond hair looking over her bare shoulder for white background. A lovely Asian woman standing in a pink dress, looking over her shoulder, isolated over white background. A young pretty woman in jeans shorts standing in profile and looking over her shoulder, isolated for white background. A young pretty woman in jeans shorts and heels standing from the back and looking over her shoulder, isolated for white background. A pretty young woman standing in a yellow dress and looking over her shoulder, isolated for white background. 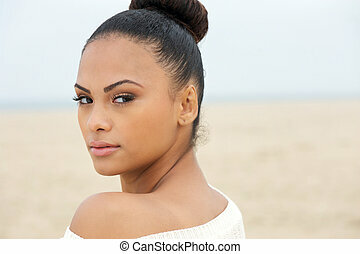 A beautiful young Hispanic woman in a beige knitted dress standing waist up, looking over her shoulder, isolated on white background. A lovely African American woman in a black blouse and long black curly hair with a red hat, looking over her shoulder, isolated for white background. 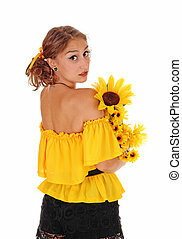 Gorgeous young woman in yellow blouse holding sunflowers, looking over her shoulder, standing isolated for white background. A pretty woman in black tights standing from the back, looking over her shoulder with blue hair and fingernails. A pretty Asian girl standing from the back in a black dress whit her long brunette hair and looking over her shoulder, for white background. A beautiful East Indian woman in pink shorts standing from the back and looking over her shoulder, isolated for white background. 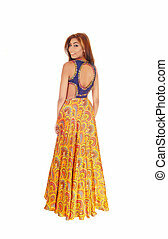 A young pretty woman in a long brown dress standing from the back looking over her shoulder for white background. A image of an African American women in a colorful top and blue jeans standing and looking over shoulder, isolated for white background.